Another free Netgalley advance read! I read a lot of stories and novels that draw on the concepts and entities created in HP Lovecraft’s fiction. More to the point, I’ve read some of William Meikle’s short fiction in anthologies, though I can’t remember at the moment what I thought of them. But when this popped up on Netgalley I thought I’d give it a shot. The title’s an obvious tipoff that this is something Lovecraftian, referencing The Dunwich Horror, and the info on the author’s site and publisher DarkFuse’s site doesn’t shy away from the Lovecraft connection, but it isn’t the kind of cliched list of Necronomicon knockoffs and Cthulhu companions that still pop up from time to time. The simplest description would be that it’s a cross between Stephen King’s The Mist and Lovecraft stories like The Colour Out of Space and From Beyond. It pulls off those different approaches by alternating between chapters set in the present day involving a small Newfoundland town hit by a blizzard and a mysterious phenomenon with chapters set decades earlier showing how that phenomenon was brought into being. Meikle’s website gives the impression that he’s happy to be thought of as a pulp fiction kind of guy, and while it’s true that this book is more entertainment than art, it’s pretty good entertainment. The Newfoundland modern day chapters paint a believable picture of hard working guys in a small town getting a beating from the elements; the flashback chapters have a noticeably different narrative voice. As the book builds, the focus moves from dread and suspense to more action and all-out horror. Meikle does a good job of presenting classic King-style horror and Lovecraftian cosmic horror without once mentioning the Necronomicon or Cthulhu or any of the other usual trappings. He’s not doing anything as unexpected as mixing Lovecraft with the Beat Generation, like Nick Mamatas did a few years ago, either, but so what. Sometimes you want a rollicking good yarn that keeps you turning the pages, and this book definitely delivered that experience. If I’d bought this I’d’ve figured my money was well spent, and I’ll be paying more attention in future when I come across Meikle’s name again. Here’s another review of another book received as a free e-galley in exchange for a review. I’ve also posted versions of the review to Netgalley and Amazon.ca. There are two ways to look at this book. The first is to assume the author is playing it straight, and that this is a book for young readers that happens to involve H.P. Lovecraft’s concepts instead of the more generic fantasy elements in the likes of Harry Potter. The other is to see it as part of the Lovecraft mashup trend of recent years, in which writers like Nick Mamatas and others cross Lovecraft with other writers or genres, like the Beats, Hunter S. Thompson, etc. I started writing with the assumption that the book was indeed an attempt to do a middle grades book for kids that happens to be about the Cthulhu Mythos (in this case, more about Nyarlathotep, but anyway). I found myself gradually shifting to the second. I’m a long way from 12 years old so I can’t judge how well this would play with a hypothetical younger audience. It’s trying to be more slangy and modern than the Harry Potter books, with a diverse young cast of characters, but the dialogue doesn’t always ring true and few of the characters are ever really developed all that much. So think of it as a mashup between the kids’ books about kids with problems (dealing with dead parents, racism, social exclusion, bullying, etc) with a Lovecraftian novel. (And not just Lovecraft, there’s some Twilight Zone in there, too.) 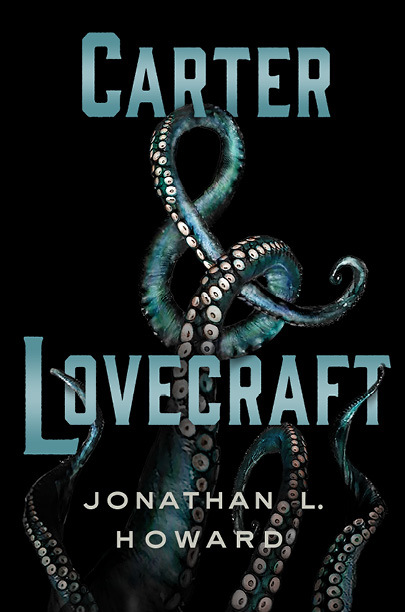 The tone’s too light and the challenge too easily defeated to be truly Lovecraftian (not a spoiler — check the title). On the kids’ books side, it seems to be ticking boxes at times. The prose is functional, much more to the breezy end of the breezy/purple prose spectrum. And yet the story moves, and I can visualize it actually working as a fun movie aimed at kids, if we lived in a world where kids were familiar with the mythos. It’s a fun read for anyone who likes to see how H.P. 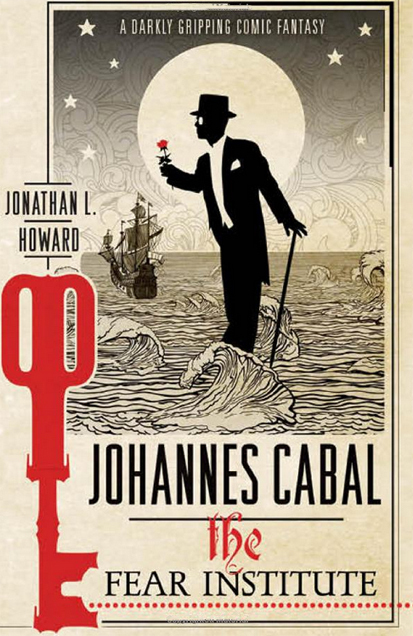 Lovecraft’s influence can be twisted into unexpected new shapes, and much more enjoyable than I expected.